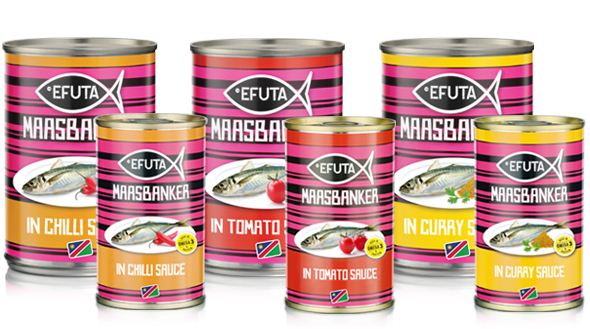 is a quality certified, premium canned fish product from Namibia. most inaccessible and remote markets in Africa. and is available in three flavours: Chilli, Tomato and Curry Sauce. distinguishable with bright colour differentiators and picture graphics.